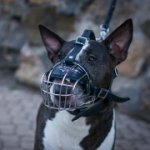 Which Harness for Staffy to Choose? 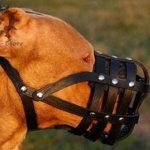 Large breeds like Pitbull or Staffy need reliable harnesses to resist their power and to control them securely. 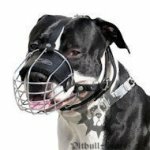 Moreover, this gear should be comfortable and safe for a dog to avoid any harm and discomfort. 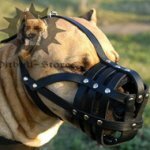 There are two harnesses, which are the most suitable for your powerful dog. 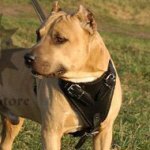 This leather Staffy harness is an extremely strong outfit to walk and train the dog. The harness is a specialized tool for attack, agitation and protection work. 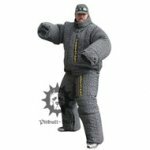 This means it is harmless and maximum durable equipment. 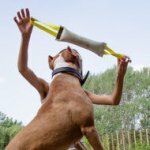 Functionality of use is a great advantage of this harness because you needn't buy several ones for various kinds of dog activities. 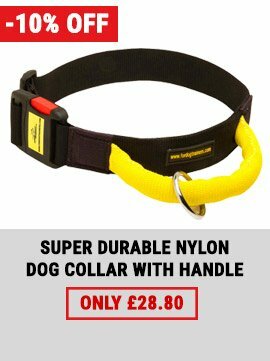 This harness is an essential tool for your active Staffy. Full grain natural leather was used for the harness. It is handcrafted, well processed and stitched. Leather is thick, hard-wearing, but soft and worked-out along the edges. 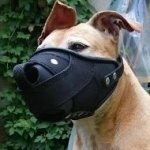 The harness will serve your dog for long. Please, don't forget to take care of it with special leather balsam and it will always look like new! There is broad chest plate with thick felt lining. 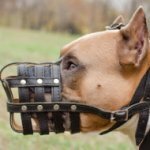 It prevents excessive loads and absorbs shock of dog hitting during bite training. Front straps and back plate are also with felt padding. 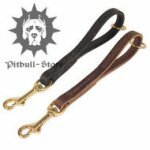 Adjustable leather straps will help to fit the harness to your dog perfectly. Quick-release buckle makes it easy and fast to put the harness on and off. 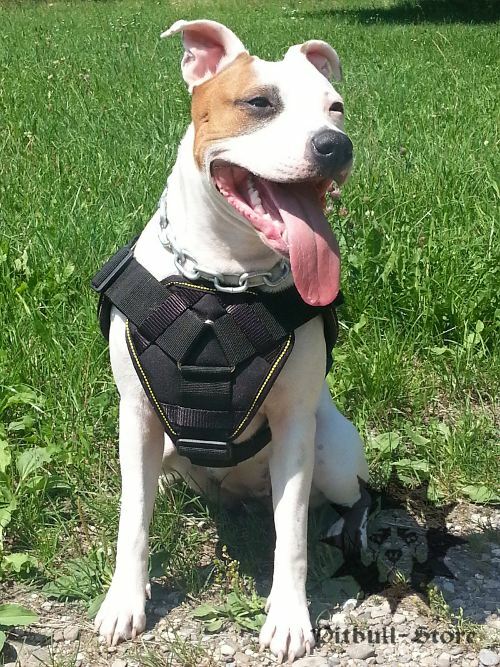 The harness is fitted with solid nickel-plated fittings (buckles and D-ring to connect a leash). They are rust-resistant and welded. 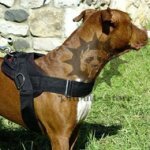 You can choose the color of this harness (black or brown) and also an option of a handle for additional control over your Staffy. 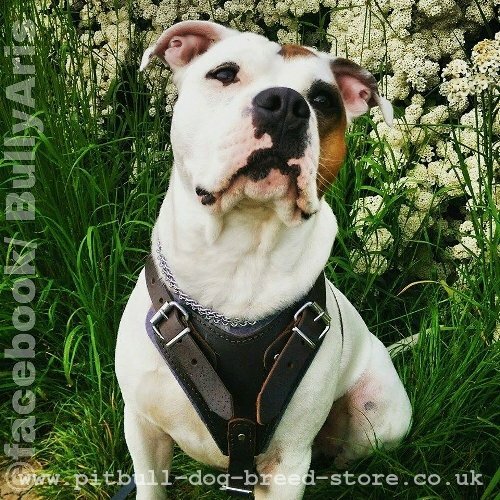 Staffy nylon harness is a must-have attribute for those, who walk and train their dogs in any weather. Nylon is a highly-practical material with such qualities as stretch, tear and water resistance. The harness won't disform when get wet or under loads of pulling or training. The harness is super strong, finely stitched, but of light weight. 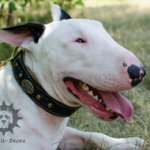 Your dog can wear this harness all the day long and it won't have rubbing and feel no discomfort. Nylon is a dog-friendly and harmless fabric. 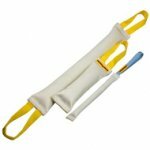 The range of this harness use is wide: walking, training, sport, service work and pulling. 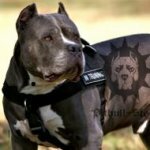 Padded chest plate will save your Staffy from shock when it is trained to attack and will distribute loads along the body evenly. 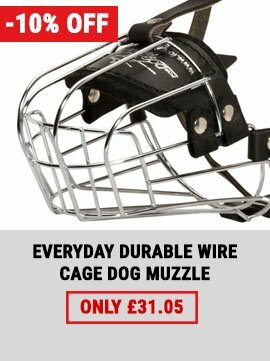 Back plate is also wide and it is fitted with reliable control handle and a D-ring for leash connection. There are 2 side D-rings on the harness for pulling and muscles building. All the rings are welded and break-resistant. They are rustless being made of nickel-plated steel. Regulate the size of this harness with the help of adjustable straps. Put the harness on and off in a matter of seconds using quick-detach buckle of molded plastic. 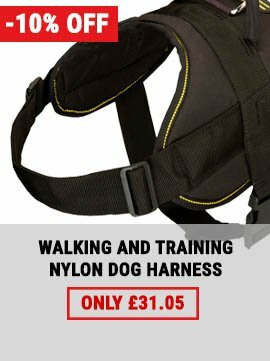 Both harnesses are perfect for intensive training and safe walking. Feel free to contact us if you have questions.